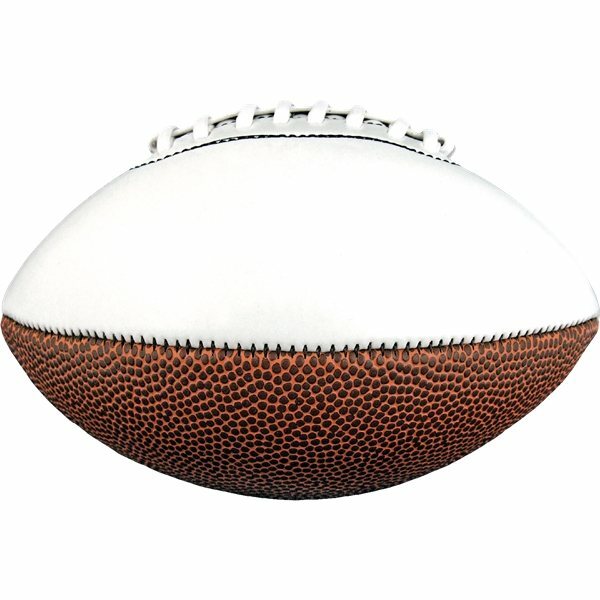 Synthetic Leather Footballs with white autograph panels are feature a re-inflatable athletic valve. Permanent markers recommended for a clear, long lasting autograph. These turned out fantastic!! Our boys and parents were very excited. This made our homecoming very special. I will be ordering from you again. Awesome and quick service throughout the entire process! Rosa was my rep and she was wonderful to work with. I got friendly and timely responses every time. This item was WONDERFUL! Imprint was done extremely well. Everything was so quick and simple.